A totally unusual façade for this last civil work of Antoni Gaudí, La Casa Milà, nicknamed La Pedrera ( the quarry), in part because the cliffs near Barcelona were the inspiration of the great architect but also because of the appearance of the wavy facade of the building. In fact, the building does not have a single straight line, the façade is designed in such a way that it is impossible to draw a vertical line from the roof to the ground..Not much appreciated by the inhabitants of the city who cover it with sobriquets - piles of white stones, hangar for airships, earthquake - Gaudí had to fight with its owners who refused to pay his full salary. Following a lawsuit initiated by the architect and lost by the Milà, the latter decides to pay the sums recovered to a convent.A tumultuous history for what is now a monument of Catalan modernism. The Patrons: Pere Milà i Camps and his wife. At the beginning of the 20th century, Barcelona grew rich. The industrial revolution being at full speed, the city grew and was being transformed, while the Catalan bourgeoisie settled in residences that rivaled architectural boldness. 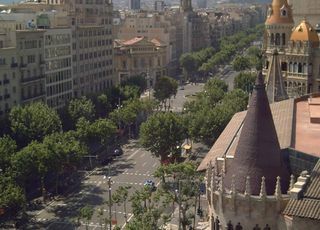 The Passeig de Gràcia became one of the main arteries of the city and it is in all logic where best architects defy themselves with fantastic projects. The architect Antoni Gaudí, whose notoriety has been perfectly proven, finishes the Casa Batlló with the help of the constructor Jaume Bayo i Font but also the Pharmacy Gibert and the decoration of the Bar Torino in 1902, last both disappeared now a days. Gaudí at that time had already started the project of the Sagrada Família since 1884 and also worked on the Parc Güell (1900-1914).Gaudí meets Pere Milà i Camps, a rich entrepreneur and property developer who is also keen to mark his era with the creation of a house with an innovative design and great luxury. 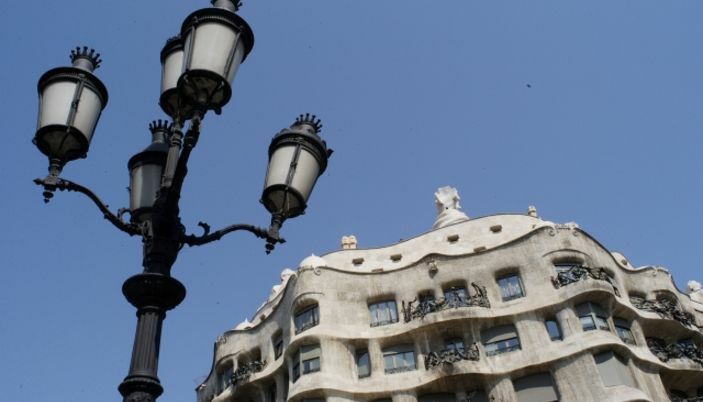 The project started in 1906 by Gaudí and will indeed become one of the most emblematic residences of the city. 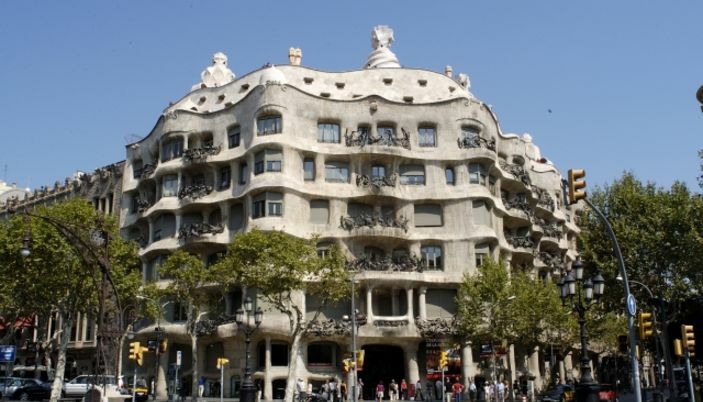 The building is built on a surface of 1,835 m2 at the corner of Passeig de Gràcia and Provença street. The first floor for the Milà family occupies 1,323 sq. 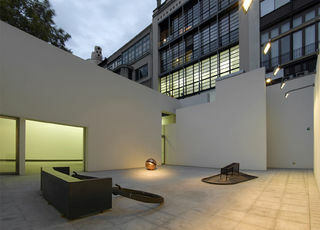 M. The building consists of nine levels, overlooked by a roof terrace. This imposing structure actually houses two detached and independent buildings, each with its access door and its skylight, communicating only via the ground floor. The unity of the buildings is rendered by a common facade. Casa Milà was declared a UNESCO World Heritage Site in 1984 as "Works of Antoni Gaudí" in conjunction with Park Güell, Güell Palace, Casa Vicens, the Nativity Facade and the Sagrada Família Crypt, The Casa Batlló and the crypt of the Güell Colony. 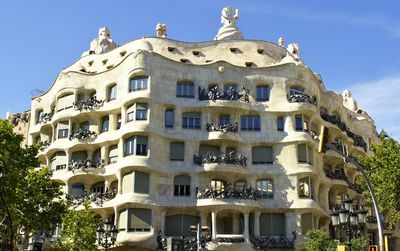 A striking symbol of the Casa Mila, its large sculpted wave-shaped facade and its 33 stone balconies crowned with forged steel like algae are abstract motifs. Wave shapes, ornamental work of the stone, luminous effects according to the time of day, Gaudi wishes to evoke the marine swell. He went so far as to draw the ceramic hexagonal pavers on the sidewalks adjacent to the building. 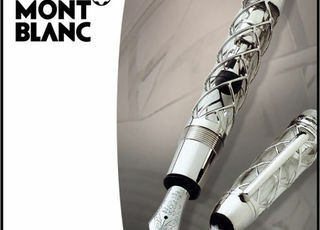 They are also marine motifs, with octopus, stars and conchs. Its creative freedom will be limited only by the events: a statue dedicated to the Virgin of the Rosary was never installed on the facade due to the anti-clerical uprisings of 1909. 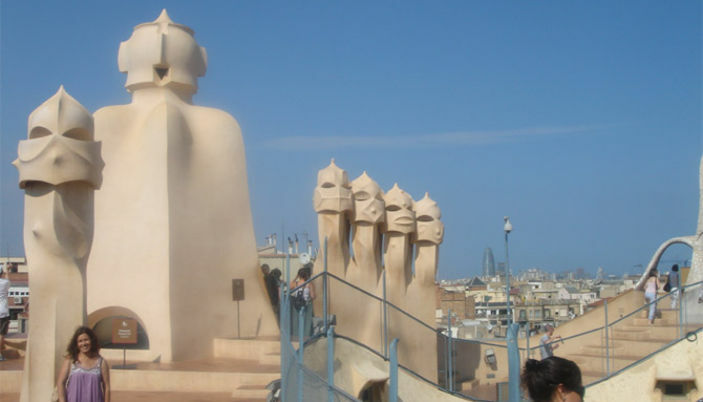 The building is crowned by a roof built on the attic, where Gaudí installed thirty chimneys, two ventilator towers and six stairway exits in very original shapes to create a terrace that looks like an authentic sculpture garden. A strange landscape, on different levels, with functional sculptures covered as in the Park Guell de trencadis, this mosaic based on ceramic breakage. A dazzling view of the city and a landscape whose symbolic significance is constantly being sought. Some see giants, others see masks or Corinthian helmets. 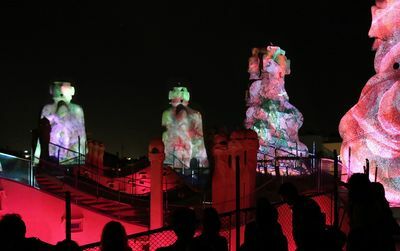 The discovery of their meaning will be part of your visit to La Pedrera. 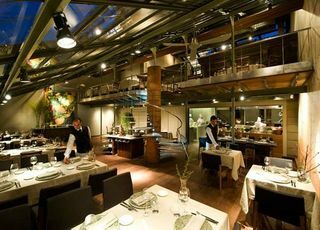 The terrace has the particularity of being open in the evening for an audiovisual show that we describe later on. The Gaudí space is installed in the attic formed of large arches of stones giving a higher floor with a sinuous aspect to the roof terrace. 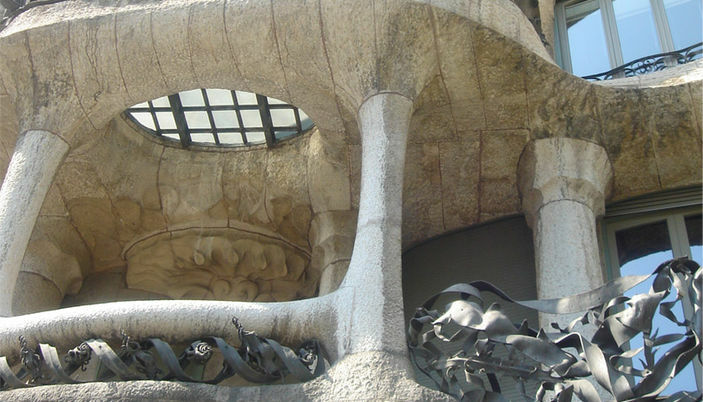 This museum is very interesting to visit because it gives a general overview of the work of Gaudí and his work method. 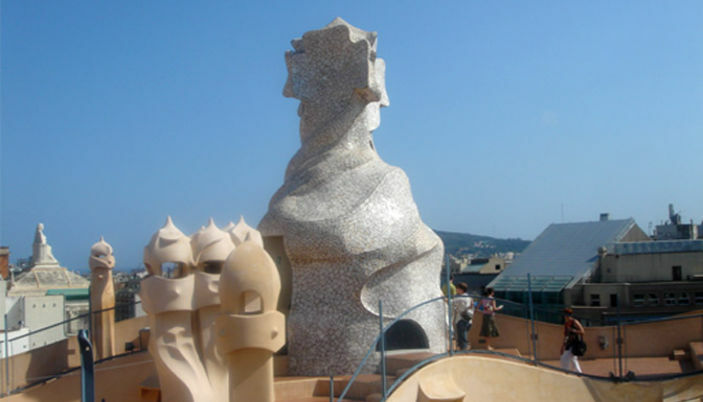 Examples include models of La Pedrera, Sagrada Familia, Park Güell, Güell Colony and Casa Batlló. But perhaps the most amazing is to discover the collection of furniture created by Gaudi himself to decorate every room of the building. 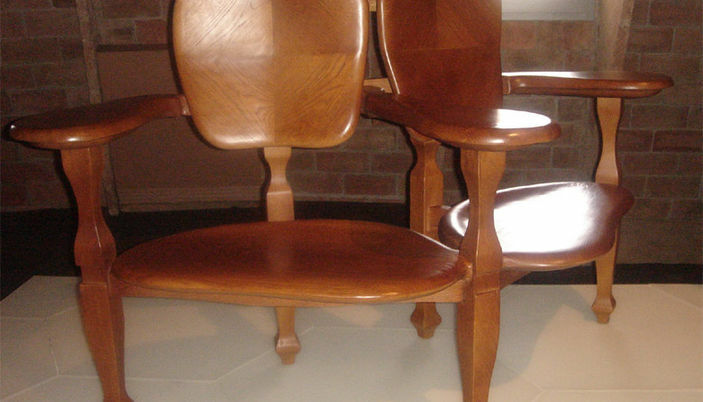 Chairs, tables, furniture, screens, doorknobs locks .. One understand the great dimension of the creativity and precision of the master by observing the refinement of every detail of this furniture. Through small staircases we descend to the reconstruction of an original apartment at the times of the Milà. 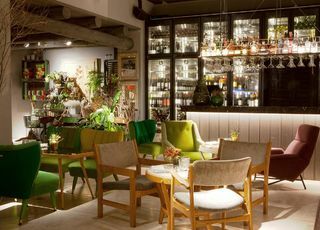 You will be able to see how every detail of the decoration was important and as everything had to be beautiful and functional. A beautiful design lesson that should inspire many architects today! An audio-guide is included in the price of the tour. 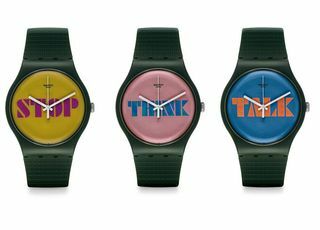 There are two versions: a short version of 40 minutes and a long version of 75 minutes. The audio guide is available in Catalan, Spanish, English, French, German, Portuguese, Italian, Russian, Korean, Chinese and Japanese. 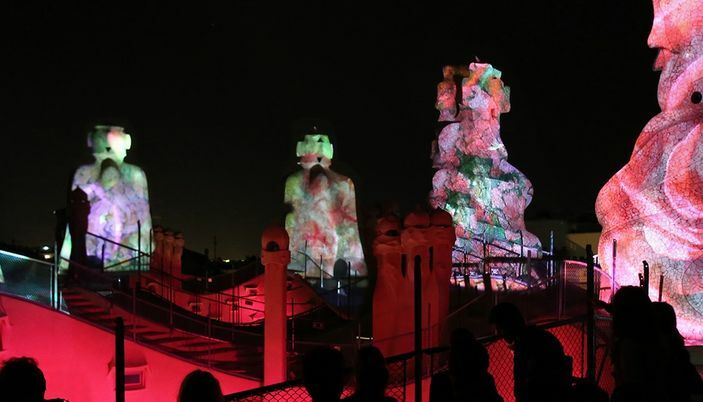 A second visit to La Pedrera at the evening is possible: it is called « Gaudí’s Pedrera - The Origins »This magic evening offers a series of screenings in different parts of the building but also a show (in English) on the roof and even a cup of cava at the end of the visit. The three houses of Gaudí – Direct entrance to Casa Batlló, Casa Milà and Casa Vicens! A combined ticket to visit three of Antoni Gaudí's masterpieces. Save money to discover these three jewels of Catalan Modernism listed as UNESCO World Heritage Sites. Close to each other, these monuments can be visited in a single morning or afternoon. For Exterior Tour Mila & Batllo, Palau Güell and Colonia Güell. Book tickets for the Sagrada Familia and Park Güell. Buy now "The three houses of Gaudí" ticket for 59€ instead of 63€! Where is La Pedrera? Getting there. Bus: 7,16,17, 22, 24 and V17. Metro: lines 3 and 5, Diagonal station. FGC: Provença - La Pedrera. Metro/Bus: Bus: 7,16,17, 22, 24, 28 // Metro: lines 3 and 5, Diagonal. 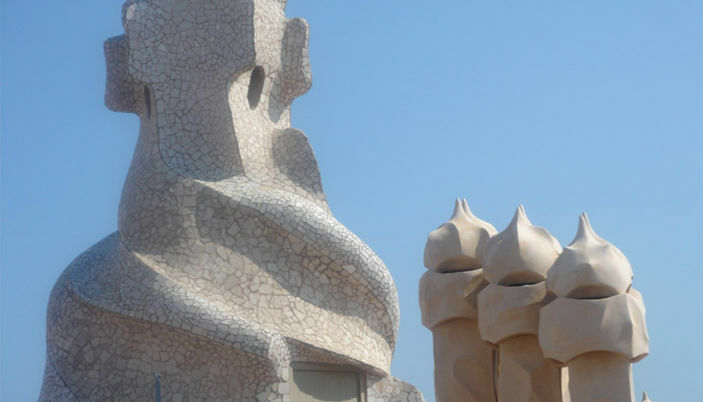 Gaudí's Best Tours and skip the line tickets!! 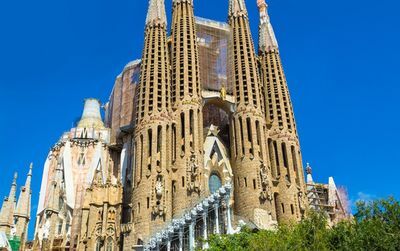 To avoid the unavoidable queues for this emblematic monument of the Catalan capital, we advise you to purchase in advance your skip the line tickets with priority access to La Sagrada Familia. Gaudí's astonishingly ornate Casa Milà..
With its flowing exterior and the whimsical chimney pots on its roof, Casa Milà - also known as La Pedrera - represents Gaudí at the top of his game. The ornate interior is also the handiwork of the great Catalan architect. Skip the line and get right into this modernist masterpiece. 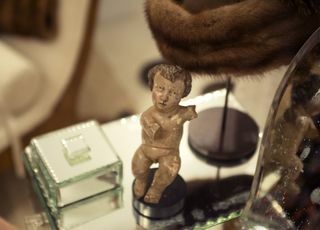 Travel back in time, 100 years of history await ? 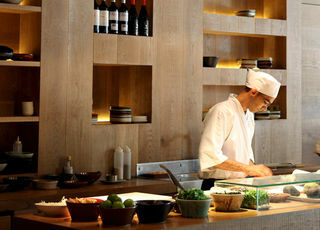 Savour a glass of sparkling wine with spectacular views of Barcelona.. Flamboyant yet subtle, Park Güell is Gaudí’s fanciful imagination on a large scale: an entire park. 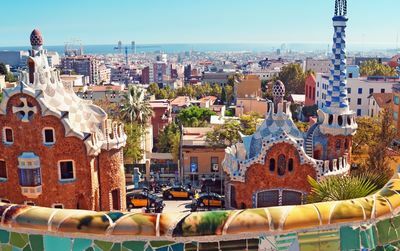 Perched above Barcelona, Güell features lush gardens, quirky buildings, and all kinds of fanciful details. From the lizard at the entrance, to the famous snaking Serpent Bench the details will put a smile on your face. of course it's just one of the most beautifull building of Gaudi - to visit absoluty while in bcn. but the ticket price is by far too expensive? Are they crazy? its a must see tourist atraction. Le prix de la visite (16,5 euros par personne) est scandaleusement élevé! Tarif réduit à 14 euros! De qui se moque-t-on? 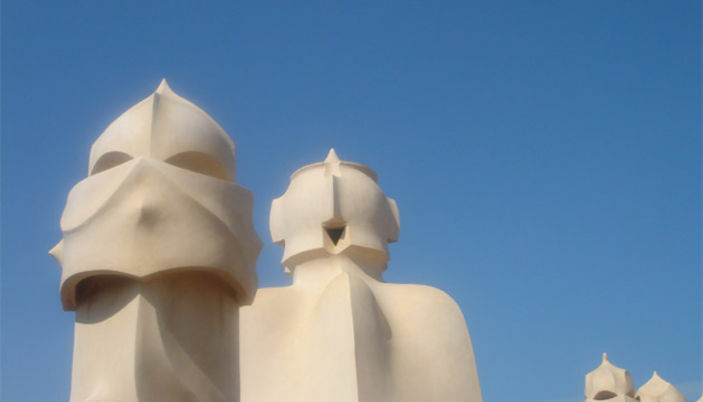 Pour moi sans hésiter c'est la Casa Mila. Tout y est intéressant. Du toit magnifique aux anciens appartements et à son musée. Génial comme son concepteur. was ther today. No reductions at all. Persons, chil, retired or adult 11 euro!! 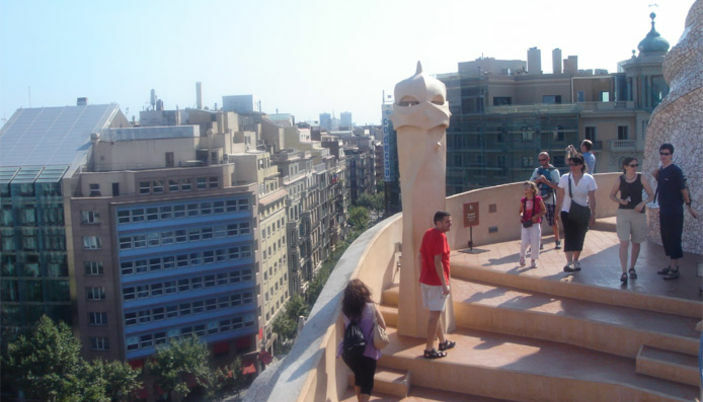 La Casa Milà et une oeuvre d'art qui a été construit par Antoni Gaudi. Il a fallut 6 ans pour la construire. Cette Casa Milà à été construite pour la famille mila d'ou son nom. Il y a 150 fenetres et 7 étages. A chaque étages il y a des balcons d'ou les barreaux sont construit a partir des tas de féraille. Cela ne se vesait d'alleuir pas a l'epoque à demains pour la suite. Io sono stata a Barcellona 2 anni fa e quest anno finalmente ci ritorno!! Tra i luoghi che ho visitato rientra Casa Milà davvero notevole...anche all'interno..semplicemente geniale...come il suo autore: Antoni Gaudì! Se andate a Barcellona fermatevi a visitarla ne vale davvero la pena! This sounds like a really nice place to visit. 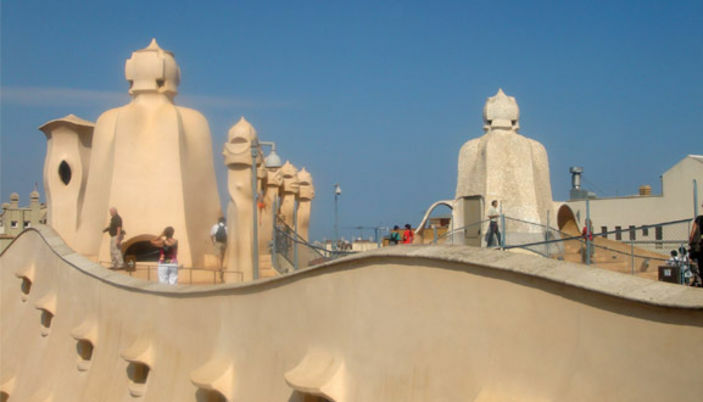 I would like to go to Barcelona someday, and I may just visit Casa Mila.